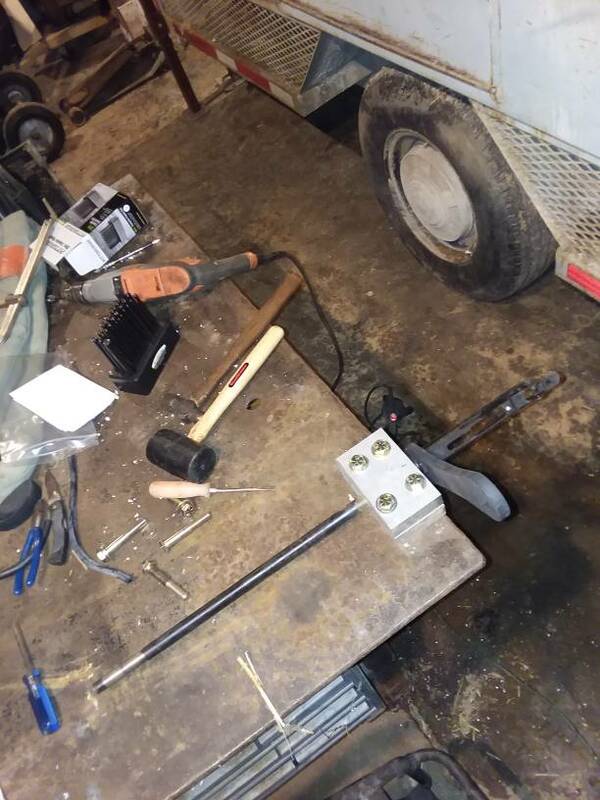 Discussion in 'The Workbench: Builds And Modifications' started by dieselmudder, Dec 30, 2017. After a few AR builds, and extensive reading about accurising various rifles through reloading research, I've decided to get a little deeper into the gunsmithing. I've had two M44 Mosin Nagant carbines, for awhile now. And there is a plethora of upgrades available. My goal is a fairly budget minded, scout type rifle, and mostly DIY. with the intent of being a capable medium game hunter with factory ammo, and possibly handloads in the future. My apologies for not taking pics and starting the thread from the beginning. I will add pics as I go. I started with your standard M44 Mosin. I am reusing the original stock, albeit with a shortened forend. I intend to pillar and glass bed the receiver into the original stock as I already have some bedding pillars I got in an IV8888 Man Can a year or two ago. I've so far removed the front sight post, and bayonet lug from the barrel, I did this with a hydraulic press and press blocks I made from some square steel stock. I'm fortunate to have access to materials and tooling at work to be able to make some of my own tooling for the project. I also removed the rear sight, and base. 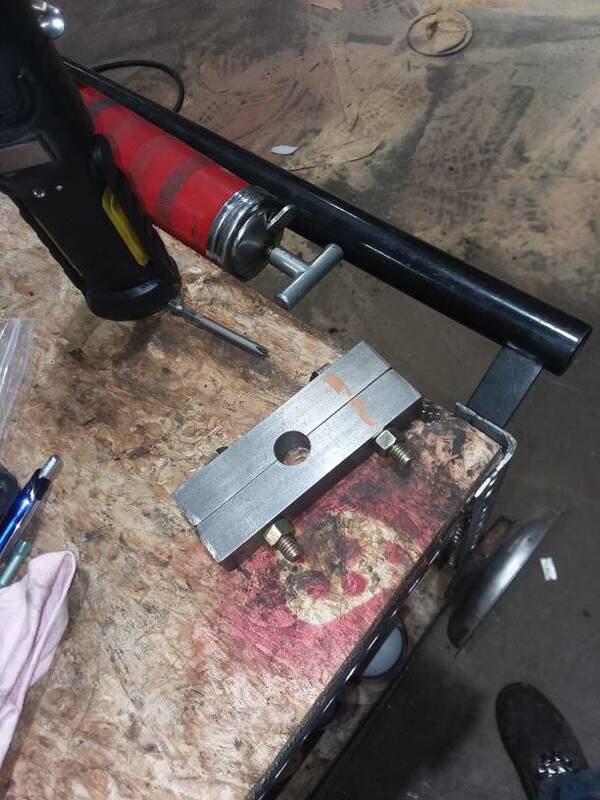 My next step is to make a barrel vice to separate the barrel from the action, I will buy an action wrench as they are very reasonably priced. 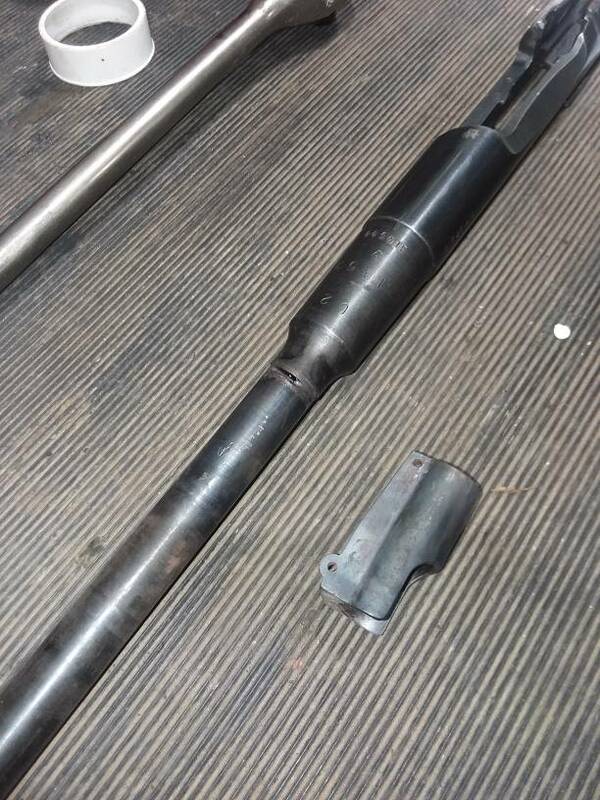 Once the barrel is separated I will cut, and recrown the barrel, and thread for a flash hider. We have a lathe at work, so I opted to try an do the barrel work on that, instead of buying hand tooling for the process. The only aftermarket parts I intend to add, are a Rock Solid industries scope mount, and bent bolt handle. I'm going to try an improve the trigger myself. I'll probably add a slip on comb riser, and recoil pad. GT_80, carbinemike, MarkStar and 4 others like this. You're undertaking a lot of work. But I know how you operate. You can pull it off. Lemme grab some popcorn, this is going to be a good show. The biggest challenge, seems to be not spending more in things to move the project along, than on the project. (I.E. paying to have the lathe work done by a gunsmith, vs. tooling up to do it myself) These are pretty simple processes though. No reason I shouldn't be able to have something that is truly all my own work. MarkStar, John A. and MikeD like this. Tooling often costs as much or more than the entire project. That's why I try to concentrate on things that I will use more than a single time. Unless there is a market to sell the "used" tools at most of the MSRP. And is also why I will occasionally loan out a tool or part to my close friends to help them out and save a few dollars in the process. I have found that is more beneficial to the whole "community" of people who like and can work on their own stuff. I have a few tools that has crossed the entire continent several times. No joke. As for doing most of the work yourself, I've felt that way for a long time. It's a little hard at first to step out of that box. The first cut is always the deepest. I had contemated building a Rem 700 from just the action until I realized the tools to build and true it cost more than a complete gun, which unfortunately still needs the actioned trued. Well, as I get tooling made, or bought, I'll be happy to loan it to anyone that needs. I'm just fortunate to have access to some basic machining tools at work. I'll sacrifice a break, or lunch to work on guns. Here's the jig I made to press the front sight post, and bayo lug off. 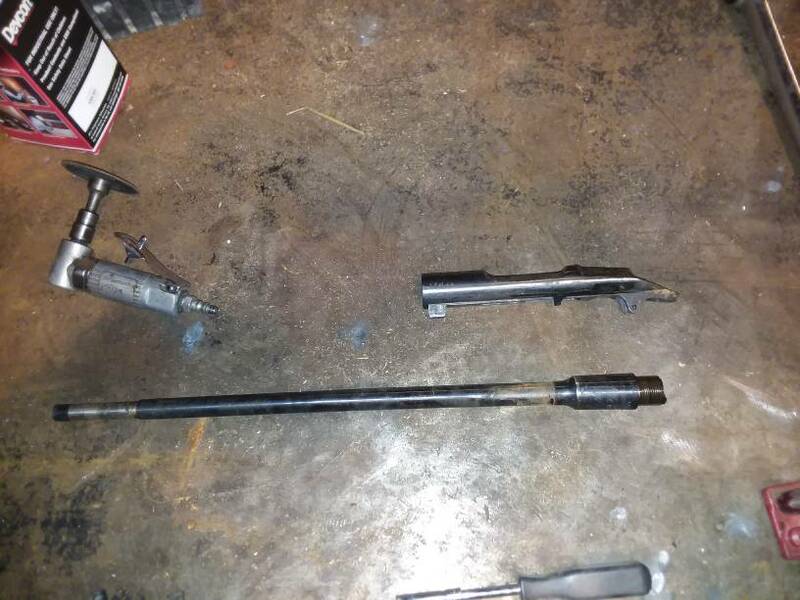 It's just two pieces of 7/8 bar stock, about 5 inches long. 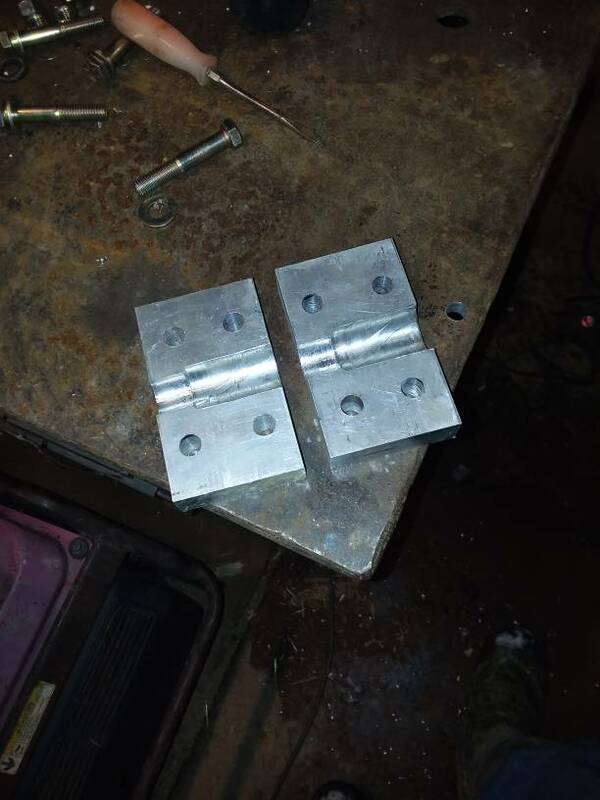 Drilled through and bolted with 3/8 bolts. Then drilled down 21/32 I think it was. To make two halves to go around the barrel. 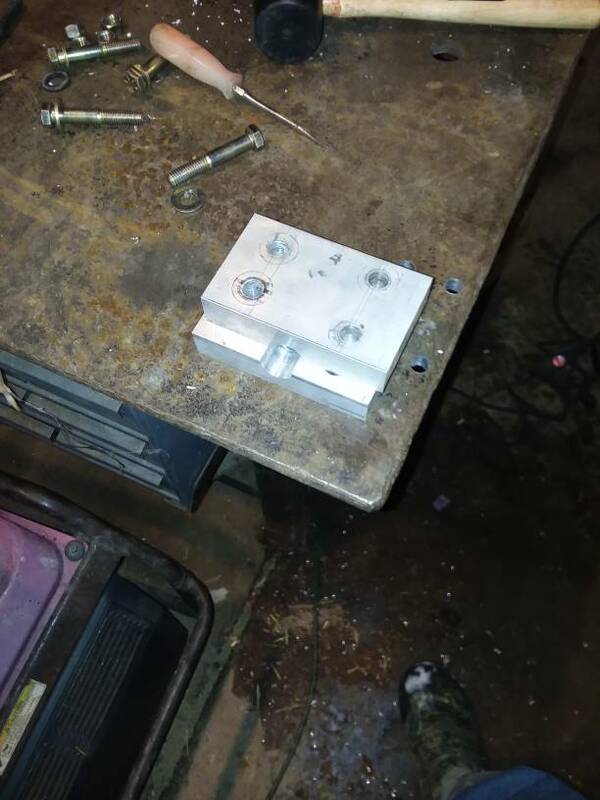 Only took a couple tons from a hydraulic press. I think a few good whacks with a BFH and brass punch would have worked. ripjack13 and John A. like this. And here's the bare barrel. Front sight has two small cross pins. I thought the rear sight base would have a dovetail, and be silver soldered, from what I read. This one was just pressed on, with another cross drilled pin. I heated it red in a couple spots, (expecting to have to loosen the solder) and used A hammer and brass punch to knock it off. ripjack13, MikeD and John A. like this. Would like to consult the group here. Having the barrel in the lathe gives me two options for a flash hider. Once cut I can leave the major diameter as is, and thread for 15x1.0 mm or I can turn it down a few thousandths and thread it 9/16-24. I won't be cutting the threads on the lathe, as I've never done that process. But dies, and thread alignment tools are readily available for both options, so I can easily cut either size. I've found muzzle devices in both sizes I like. If you turn the barrel down, will give a shoulder for the muzzle device to seat against. If you do not have a shoulder, there is no physical stop, and the muzzle device can get out of alignment due to the threads. That may not be much of a consideration for a flash hider, but is a major consideration for a suppressor due to the extra length it adds. Further, if you're trying to get the upmost accuracy that you can from the gun, if you notice, most competition guns have no muzzle attachment at all so once the bullet exits the barrel, there is nothing but the atmosphere to influence the bullet. 11* target crowns are most prevalent. Also, even if you use hand tools to thread, doing it while it is chucked up in the lathe is still a good idea. Wouldn't a more common 5/8-24 thread work better? There are tons of 30 cal muzzle attachments out there. 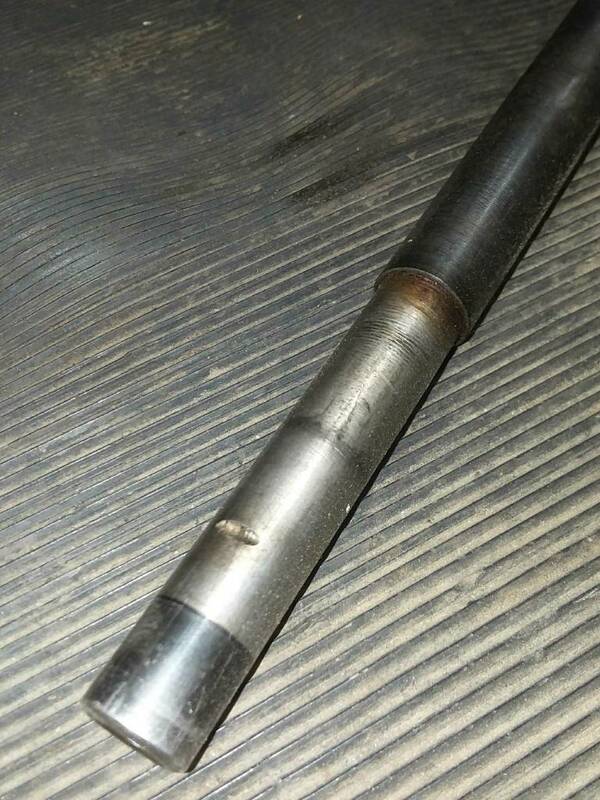 May cause you to slightly enlarge the bore hole of the .30 caliber muzzle device if you're using an 8mm bullet, but that is super simple with a lathe. This would give you more options in the future too. Barrel is not big enough to go 5/8 I would have to thread, then adapt. The end of the muzzle is already a machined finish, from fitment of the sight post and bayo lug. There is a shoulder already, albeit a small one. I intended to cut the 11 degree crown, I'm not seeking supreme accuracy, my thoughts for a flash hider were more to mitigate the giant fireball that the M44 is known for. I doubt I would even use a recoil compensator. I've no intention of suppressing. If you're going to cut it and re-crown just past the shoulder and thread back to the shoulder, whichever thread pitch is easier since you have no intention of suppressing. That would look very good hanging off the end of a Mosin. 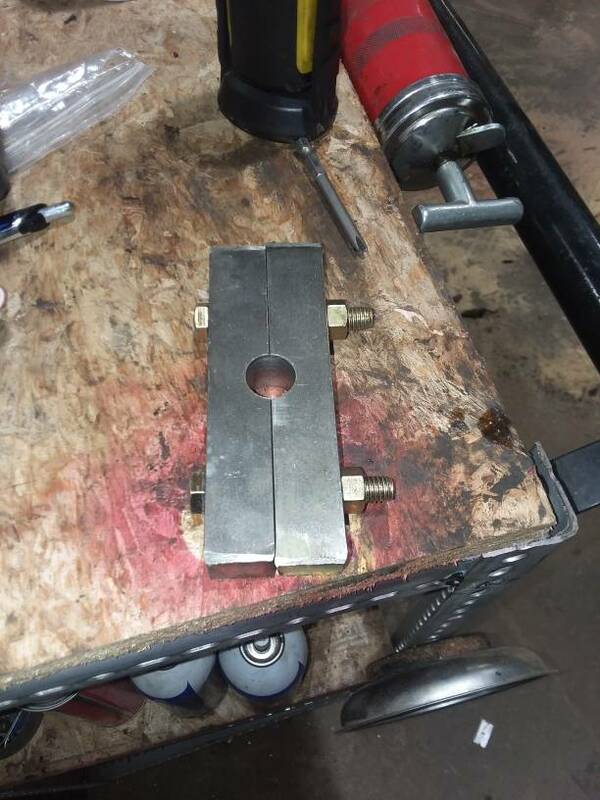 Got my barrel vice made, from some aluminum stock I got from eBay for about $23.00. I did buy an action wrench, from an etsy seller. $18.00 I think it was. Bolted it down to my work table at home, and separated the barrel from the receiver. 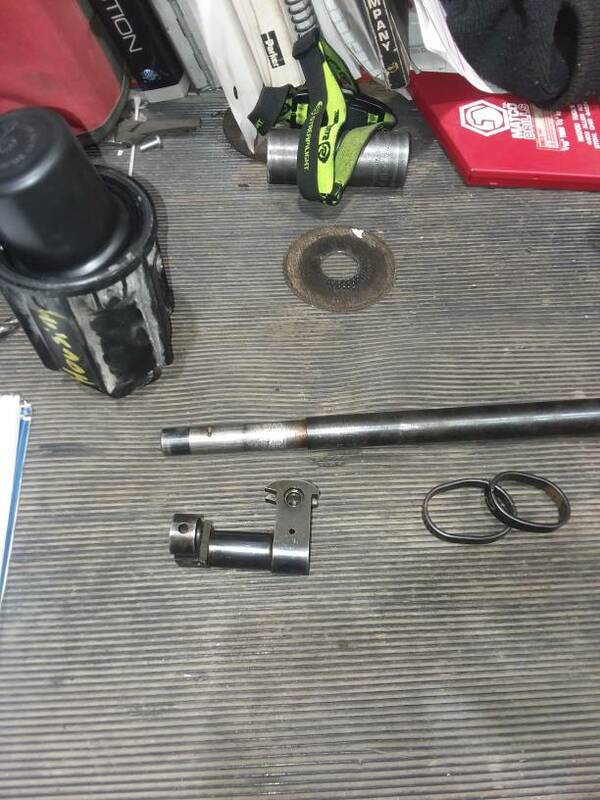 I used a 3/4 ratchet, with no cheater. I was expecting it to be little tighter than it was. I've got the thread alignment tool, and threading die, and die handle ordered. dm, you did really good making that. After you get done with this project, I bet you can turn around and sell it and make money on it. Unless there is another build in your future. I wish I could like that post twice. Looks can be deceiving. But, it works. That's all that matters.